Of course I think my daughter is a Princess and she practically has everything Princess and LOVES to dress-up. What little girl doesn’t love to dress-up? I recently came across Pink Princess.com! Not only do they carry dress-up costumes but they pretty much have everything you need for any event you may need your Princess to sparkle in! From Flower Girl dresses, to adorable Pettiskirts, & even girls dress shoes perfect for a Christening or wedding! 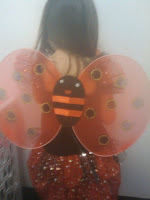 Like I said though, I went straight for the costumes and found one of the cutest ones: A ladybug! You get the Glitter skirt and top, the wings, the headband and the wand! Like I said, everything!! The wings are a bit loose on her but there isn’t any folding/closing of the wings like she experiences with other fairy winged costumes so that’s a huge plus! For now I just pin the wing straps on the shoulder straps of the costume so they won’t fall off. So love the dresses and it’s all cute and adorable right? BUT… you have a son(s)? Well don’t feel left out, Pink Princess has something for your little Prince as well! They carry a great assortment of boys Christening gowns/outfits, along with boys Formal wear that includes Tuxedos, Etons & Short Sets, plus accessories to go along with them. 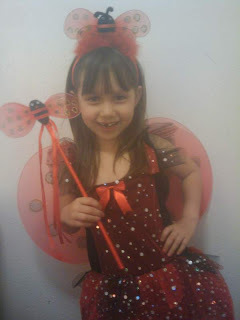 Buy the Black & Red Glitter Ladybug Costume for only $45.99! One lucky Princess/Prince will win a $25 Gift Card toward any purchase on Pink Princess!! Mandatory first entry: Follow me on Google Friend Connect AND Go to the Pink Princess website and tell me what you’d use the $25 on! 1 entry – Follow Pink Princess on Twitter. 1 entry – Subscribe to this blog by RSS and/or email. (You may click the link THREE TIMES a day. AFTER a hour wait each time. 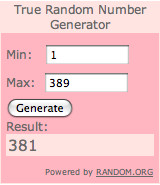 5 entries – Blog about this giveaway. Blog post MUST include links back to Double Duty Mommy AND Pink Princess to count. Leave me the link in your comment. **No other monetary compensation was received for this review – Pink Princess sent us the Glitter Ladybug Costume to review at no cost. The views and opinions are strictly my own. Your results and views may differ. i think that the Ivory Ruffled Girl Socks with Bow are way too cute! i love sute socks on little girls! Following & I'd get the pink/black stiff tutu! i would get the pediped shoe in the jake navy nubuck style. I follow Pink Princess on Twitter. I follow Pink Princess on Twitter! I'm a follower and would put it towards fairy wings for my little girl and a superhero cape for my son. I'd choose the Ivory w/Gold Flower Embroidered Ballet Flat Shoes, these are so pretty! Thanks for the giveaway. I'm a follower and I'd get the Pink Toddler Tutu. I follow GFC and I would love to purchase a cute costume for my baby girl..maybe Tinkerbell..or even some hair clippies. Vote for me on Top Mommy Blogs. i would spend the $25 on the ladybug it's so cute!!! i follow w/ GFC and would buy my lil man the Little Adventures Spider Cape. his 1st cape, aww. I follow via Google & would use the $25 certificate toward the Turquoise 3-Tier Chiffon Sequence Dress, so Kenna can wear this at her Kindergarten graduation this July!